Ophrys araneola is a robust plant growing to around 50cm in height. Up to 15 flowers can appear on each infloresence, and the lips of the flowers are distinctly lobed often having a yellow border. Occasionally the sepals are tinged with brownish-pink. 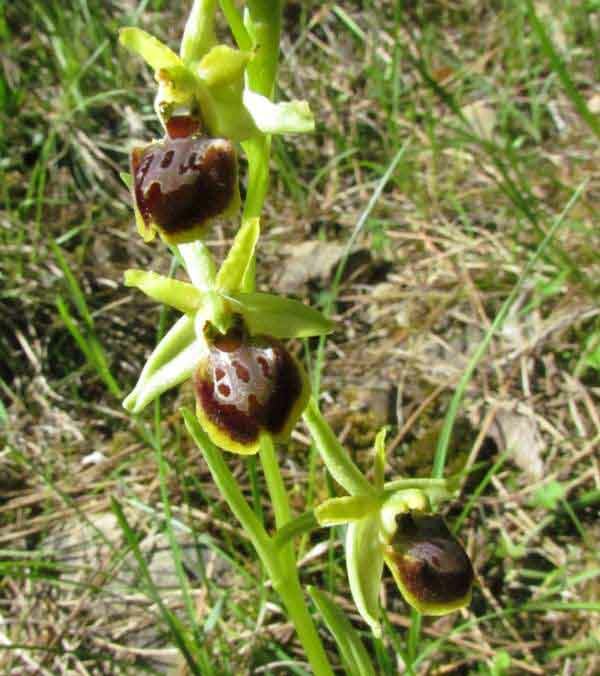 The distribution of Ophrys araneola is unclear due to confusion with other closely related orchids. As far as is known, this plant mainly occurs in France and is most common in the Pyrenees and in the mountains of the Cevennes. Ophrys araneola grows in a range of habitats but they are always on alkaline substrates: open sunny woodlands, unimproved grassland and the edges of rocky paths in France are good places to look for this distinctive orchid. 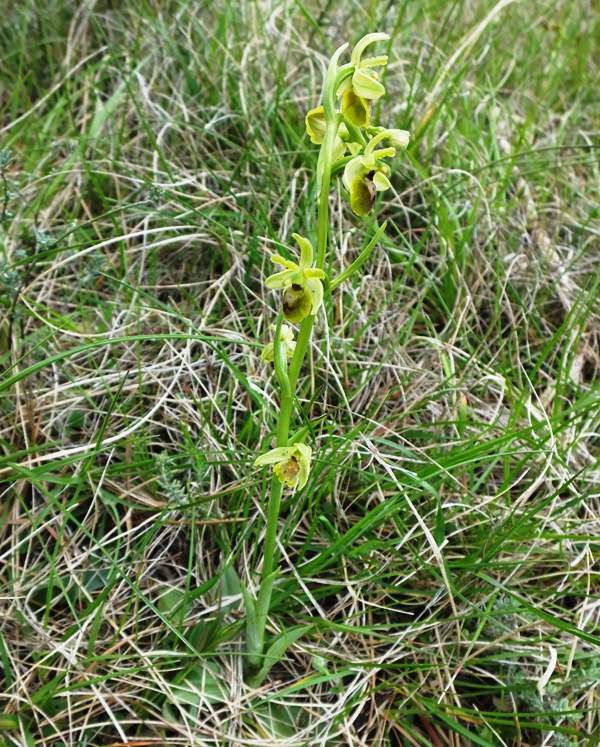 Ophrys areneola flowers from the end of March and up to the beginning of May, often at the same time as other closely related orchids making the problem of accurate identification even more problematic. The plants on this page were photographed in the Cevennes, close to Florac, at the end of April. The flowers of Ophrys araneola are distinctly lobed and often have a yellow border.